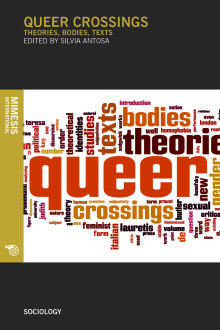 The past decade has witnessed a proliferation of writings on queer theories and practices. Drawing together established and emerging scholars in the field, this volume offers a broad, trans-disciplinary and international approach to queer studies. In the light of recent critical perspectives, it proposes a number of theoretical developments concerning three key thematic fields: theories, bodies and texts. The first section of the volume considers the embodied, sexed and gendered self and its problematic relation with queer theories, animal studies as well as with the representation of non-human and intersex identities. The second section explores a variety of modes of representation, and/or misrepresentation, of queer embodied subjectivities, ranging from literature to media and performance. In analysing a variety of classic and contemporary texts, the contributors call into question and reconceptualise key issues such as queer subjectivity, homophobia, gender performativity, masquerade and cross-dressing. Silvia Antosa teaches English Literature at the University of Palermo. She is the author of Crossing Boundaries: Bodily Paradigms in Jeanette Winterson’s Fiction 1985-2000 (Aracne, 2008), and the editor of the interdisciplinary volumes Omosapiens II: Spazi e identità queer(Carocci, 2007), and Gender and Sexuality: Rights, Language and Performativity (Aracne, 2012). She is an Honorary Member of the Centro Studi Vittoriani ed Edoardiani (CUSVE) of the University of Chieti. Her publications include several articles on Victorian fiction and poetry, female travel writing in Sicily in the second half of the nineteenth century, and contemporary fiction. Her current project is an analysis of late-Victorian representations of gender and sexuality, with particular reference to Richard Francis Burton’s travel writings and translations.